ATel #11200 (F. Lucarelli et al.). The AGILE-GRID has been detecting an extraordinary intense gamma-ray emission above 100 MeV from the flat spectrum radio quasar 3C 279. On January 18 the AGILE quick-look analysis yields a daily source flux of about (1.8 +/- 0.4) x 10^-5 ph/cm2/sec (E > 100 MeV). This flux value greatly exceeds the already high-state value of about (8.4+/-0.5) x 10^-6 ph/cm2/sec reported by Fermi-LAT on January 15 (ATel #11189). 3C 279 showed a continued increase of the gamma-ray flux in the last four days. For a 12-hour integration, starting from 2018-01-18 00:00 UT, a preliminary AGILE maximum likelihood analysis yields a flux of about (2.2 +/- 0.5) x 10^-5 ph/cm^2/s (E > 100 MeV). 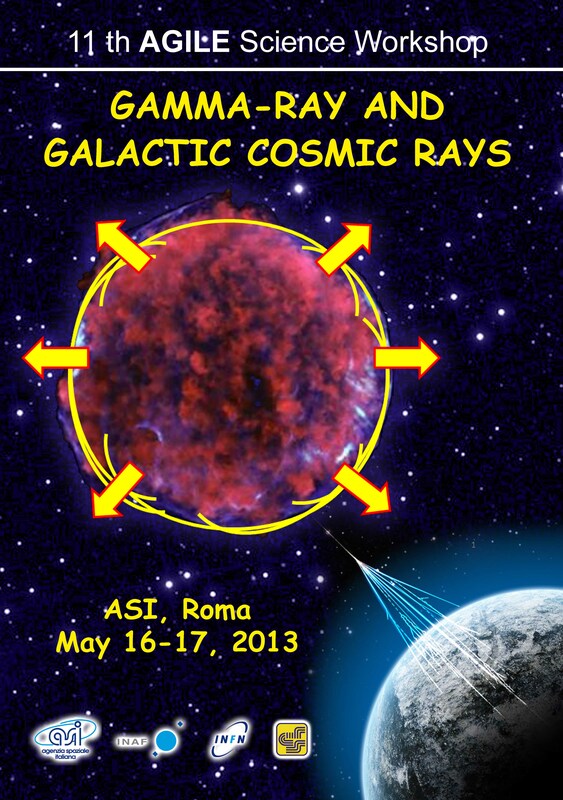 The gamma-ray flux during this new flare exceeds the largest 3C 279 flares previously detected (Pittori et al. 2018, submitted to ApJ, Ackermann et al., ApJ 824, 2016). The LIGO/Virgo Collaboration (LVC) detected on January 4th, 2017 a significant gravitational wave (GW) event, named GW1740104. 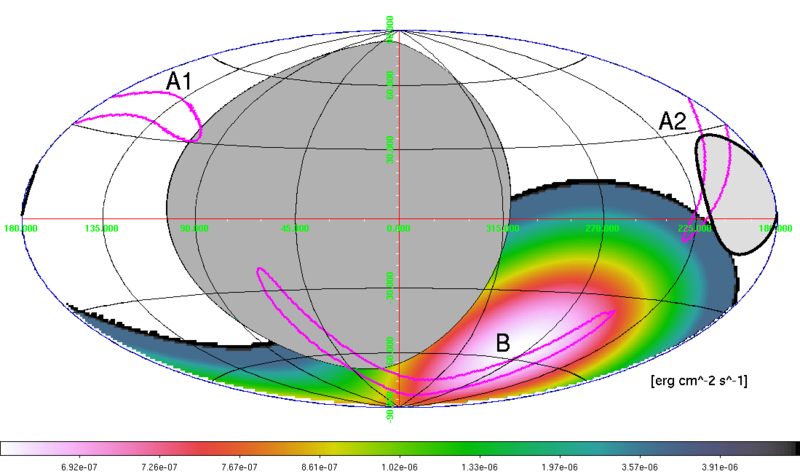 AGILE observed the field containing GW170104 with good coverage and significant gamma-ray exposure of its localization region. A refined analysis of AGILE MCAL data shows the existence of a weak event, occurring 0.46 sec before LIGO detection and lasting about 30 ms, that might be associated with GW170104. 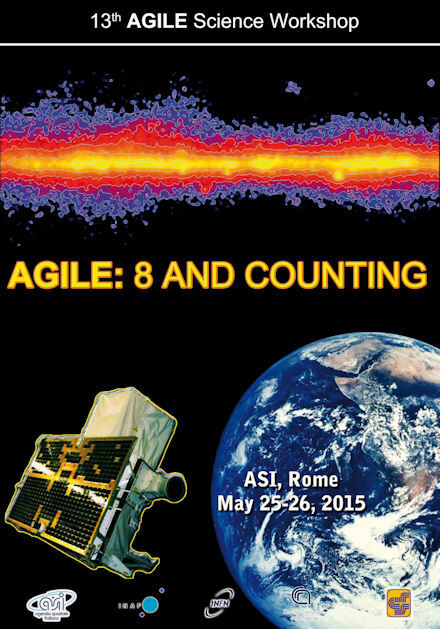 This event is interesting and worth of additional investigation and search for possible coincident detections by other space instruments. 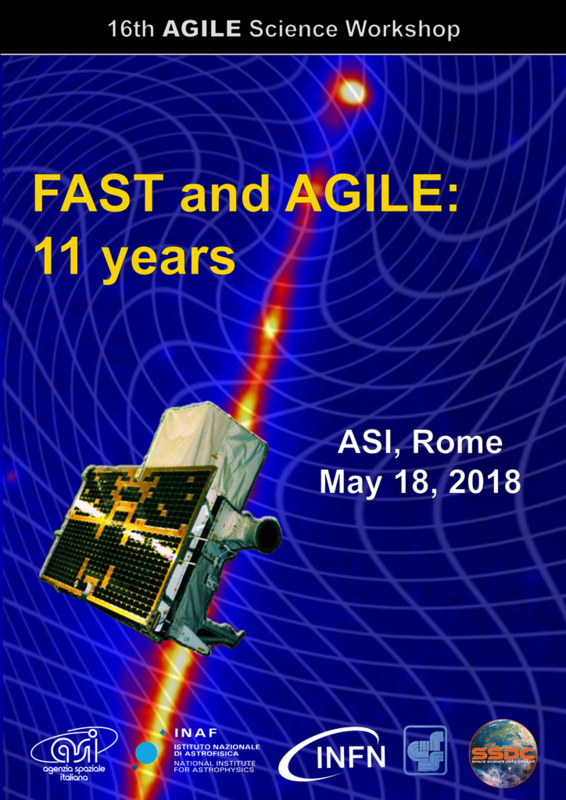 On April 23, 2017 AGILE celebrated 10 years in orbit. Since its launch from the Indian base of Sriharikota it orbited the Earth more than 50.000 times and obtained very important scientific results. 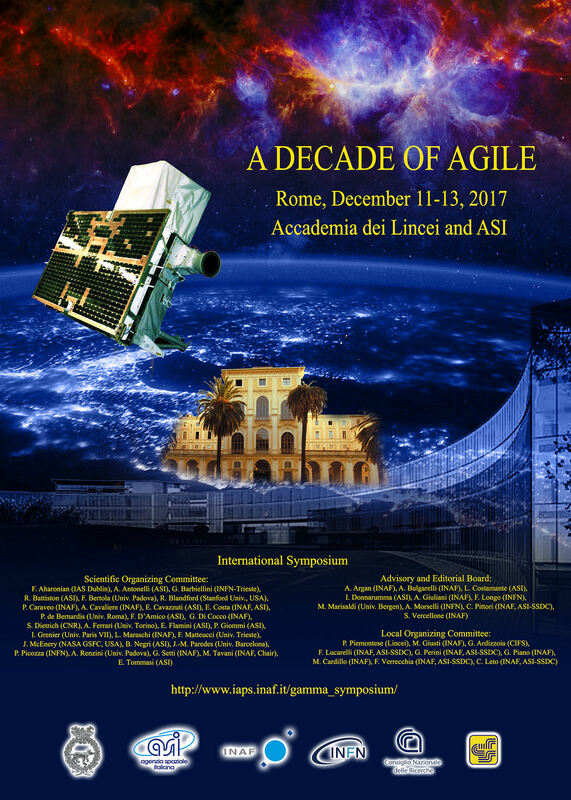 AGILE is an Italian high-energy mission supported by the Italian Space Agency (ASI), with scientific and programmatic participation of the Italian Institute of Astrophysics (INAF), the Italian Institute for Nuclear Physics (INFN), the National Research Council (CNR), several universities and Research Centres. 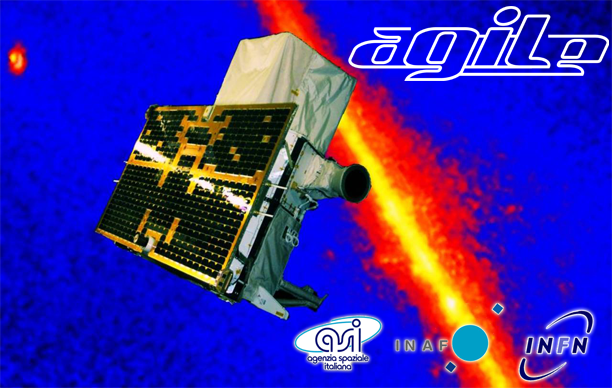 The instrument is light (∼100 kg) and the most compact ever operational for high-energy astrophysics (approximately a cube of about 60 cm size) with excellent detection and imaging capability both in the gamma-ray and hard-X ray energy ranges. 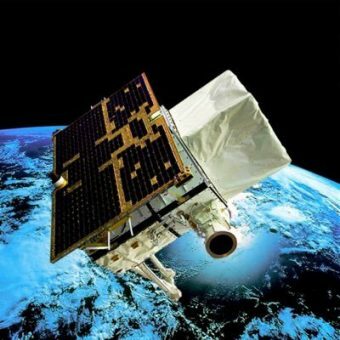 Satellite data are collected by the ASI ground station in Malindi (Kenya), then quickly transferred to the Satellite Operations Centre in Fucino and finally transferred, preprocessed, and stored at the ASI Space Science Data Center. 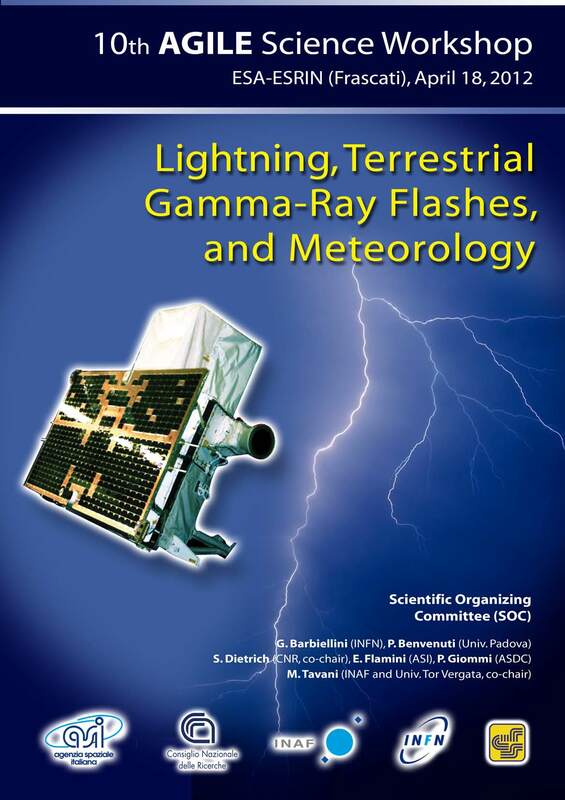 A very rapid response to gamma-ray and X-ray source detections is obtained by a special quicklook analysis and coordinated ground-based and space observations. 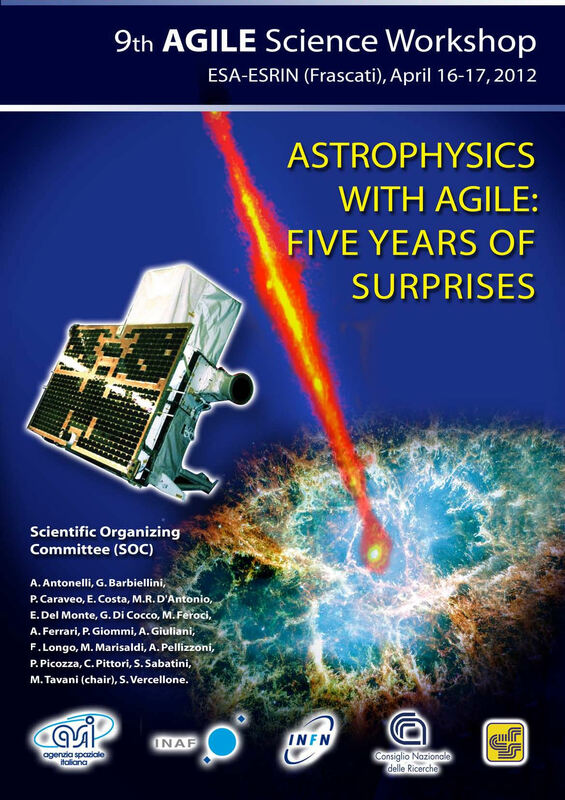 During its first 10 years of operations AGILE surveyed the gamma-ray sky and detected many Galactic and extragalactic sources: AGILE discovered gamma-ray emission from the microquasar Cygnus X-3, detected many bright active galaxies, discovered several new gamma-ray pulsars, surveyed the Galactic plane with simultaneous hard X-ray/gamma-ray capability, discovered emission up to 100 MeV from Terrestrial Gamma-Ray Flashes. 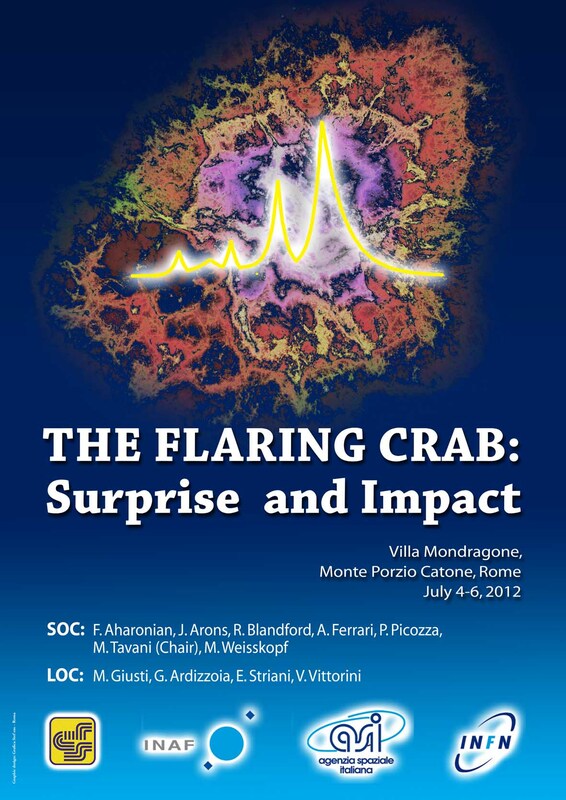 The 2012 Bruno Rossi Prize of the American Astronomical Society has been awarded to Marco Tavani, AGILE Principal Investigator, and his Team for the surprising discovery of gamma-ray flares from the Crab Nebula. 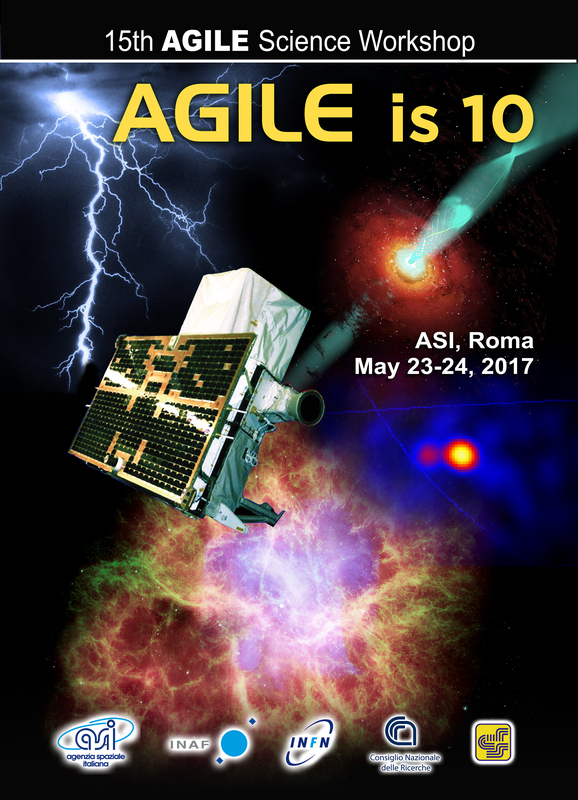 On Wednesday May 10, 2017 the National Academy of Sciences, also called the Academy of the XL, awards the 2017 Matteucci Medal to Prof. Marco Tavani for the discovery of the transient gamma-ray emission from the Crab Nebula and the quasar 3C 454.3 and first direct evidence for proton acceleration in the Supernova remnant W44. 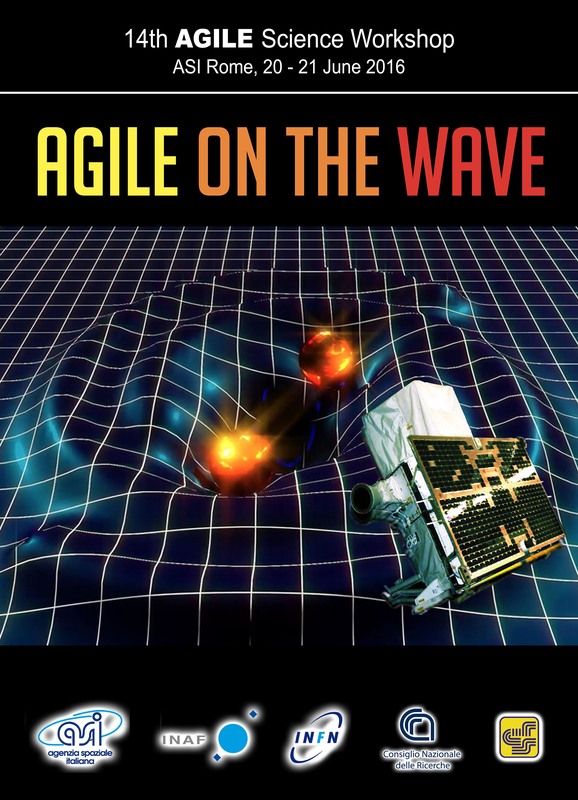 AGILEScience, a brand new app for AGILE now available from the iTunes Store. 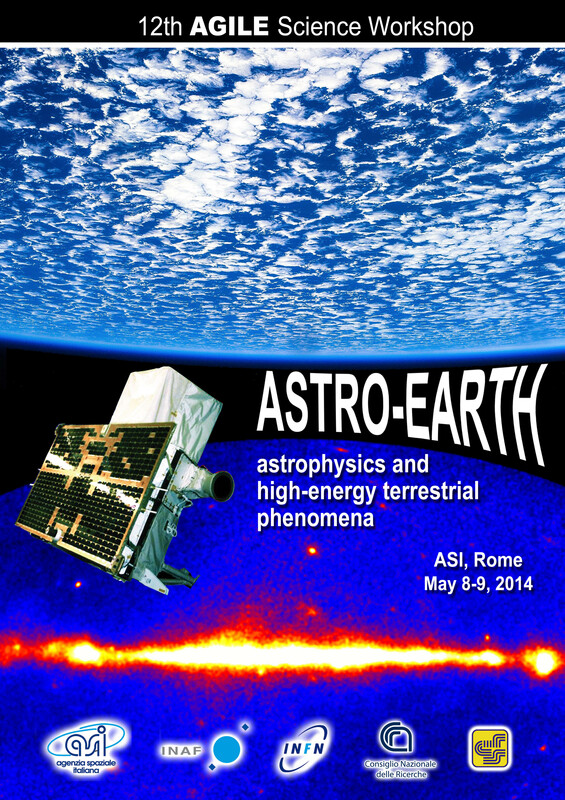 It is a window for exploring the most energetic phenomena of our Universe and having an eye on the AGILE gamma-ray sky in real-time.